Renting a self-storage unit is a great way to clear up clutter at home or in the office, but can also represent new challenges. We share our expert tips on how to organise and maximise space in your Storage Plus Unit or MaxiBox. Simply boxing up excess items and stuffing them in your locker without care for organization, you’ll end up facing the impossible challenge of locating those items you want to find when it comes time needing them again or searching on move out. At Storage Plus our experts can help you make sure your self-storage unit or MaxiBox is properly organized so you get the most from your rental. We have come to learn that many of our clients are unaware of the ‘Tetris-Like’ techniques that can help them achieve that organization. 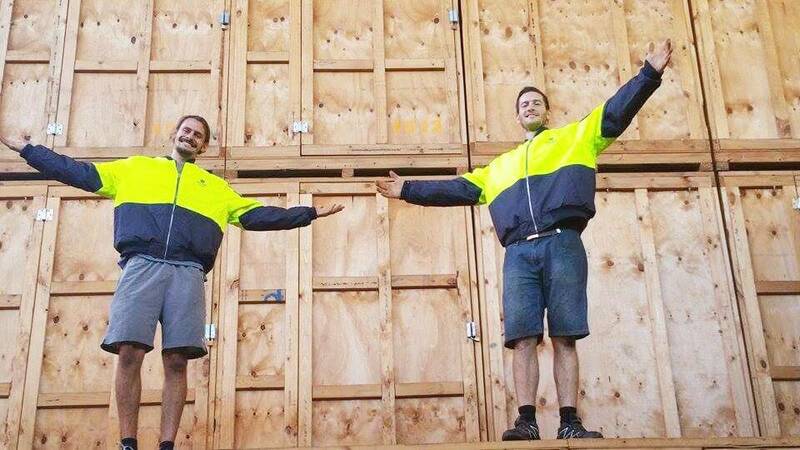 Below, are some of our top expert self storage tips that should help you keep your storage unit neat, orderly and entirely accessible at all times – making your self-storage experience stress-free. When most people think about labeling boxes, they simply scrawl the name of the room the items primarily came from on the side and don’t go much deeper into inventory. If you end up with a half-dozen boxes each labeled “kitchen,” it’s unlikely that the minimal effort you put into labeling those items will truly bear fruit when it comes time to search for a specific tool. Each time you place an item in a box, you should specifically inventory it on a sheet that you then attach to the outside of that box. Taping document folders to the outside of a storage box can allow these inventory lists to be immediately accessible and can help your search process operate as efficiently as possible. You can then mark off items as you remove them or add items as you expand your storage—guaranteeing that you can maintain a running tally. The amount that you pay in rent for your storage unit is generally determined based on the unit’s square footage. This means that you have a financial incentive to rent the smallest unit possible while still guaranteeing that you have adequate space for all of your items. As a result, efficiency in packing your unit should be at a premium. You should attempt to break down any furniture or similarly large items to minimize the amount of space they take up in your locker. Stack boxes as high as is safe and practical with the heaviest items on the bottom so as to maximize the stability of the base. You should also attempt to leave at least some walking paths throughout your storage layout so that you can be sure the items in the back of your locker are as accessible as the items in the front. Even climate controlled storage units can pose some risks to your items if they’re stored for an extended period of time. Dark spaces with relatively stagnant air can be breeding grounds for mold and mildew, which may fester inside cardboard boxes. Plastic storage containers represent a more sterile environment that may be better suited for keeping out any possible contaminants. You should consider the possibilities of purchasing and utilizing plastic tubs for your storage needs in order to guarantee that your possessions remain properly protected. At Storage Plus, we have a wide variety of available units that can meet your specific storage needs. Turning to an established and secure facility to protect your possessions can provide you with substantial peace of mind and guarantee that you’re content with your storage the entire time you use it, not to mention we now boast our NEW 24/7 secure accessible storage facility in Waterloo! Ready To De-Clutter and Make The Most Of Your Home or Work Space?